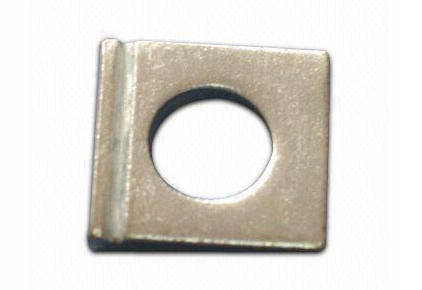 Taper washers are available in stock as per Indian Standard 5372 (IS 5372-1975)/Din 434 (For Channels) & IS 5374 – 1975 (For I Beams) in materials like Mild Steel (M.S.) & S.S. 304 grade. Can also be manufactured in all the different materials as per your specifications/requirement/drawings or samples.